Bangalore’s affinity for beer led to it being christened as the “Pub City Of India”. In 2010, this evolved further, and the first microbrewery in Bangalore started serving craft beer. Being the beer loving lot that we are, we of course took quickly to craft beer, and now there are over 40 microbreweries in Bangalore. And we know how hard it is to pick that top one, and when people ask, "Which is the best one? ", most of us are stuck wondering. So naturally, I took it upon myself to sample beer from most of them and here's the top 5 most iconic brew pubs in town. 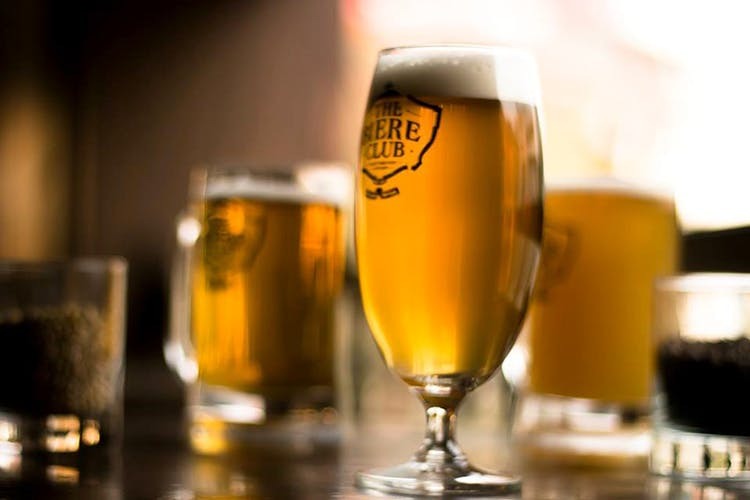 The Biere Club was the first microbrewery in Bangalore to open its doors back in 2010. Located in the heart of the city, this brewpub has typical pub-like ambience. The Biere Club usually has five or six beers on tap at any given time. In addition to the wheat, stout, lager, and Belgian style ale, they are well known for their specials. They have experimented a lot, and a few of their stand out specials include beers brewed with strawberry & vanilla, lemon & chilli, bayleaf, and even a beer made predominantly out of Raagi, which is a locally grown millet. The Biere Club has a second microbrewery in Whitefield called Biere Street. When anyone talks of a microbrewery in Bangalore, the first name that comes to mind is almost always Toit. Located in Indiranagar, this brewpub has also been around since 2010. Arguably the most popular brewpub in the country, Toit is now more or less considered an institution as far as craft beer goes. Toit’s usual line-up includes a Hefeweizen, a Belgian Wit, a Basmati Blonde, a Dry Stout on Nitro (Nitrogen), an English style Pale Ale, and is also one of the few places to also brew an Irish Red Ale. (Which is my pick of the lot!) Toit also does brew a special beer from time to time. In recent times, Toit’s volumes have shot up due to their popularity, and they have scaled back on the number of beers they have available regularly. Arbor Brewing Company, or ABC as it’s known locally, originally founded in Ann Arbor, Michigan in 1995, opened their first overseas location in Bangalore, in 2012. With a focus on American style Indian Pale Ales (IPAs), ABC probably spurred the evolution of the “Hop Head” in Bangalore. IPAs are typically more bitter than most beers, and are generally characterised by the generous use of hops to provide bitterness as well as aroma. ABC is regularly known to have at least two, and sometimes as many as four IPAs on tap. In late 2015, ABC was the first microbrewery in the country to begin ageing beers in barrels. In a nutshell, they make a beer, and once it’s ready, they age it in a barrel for an extended period of time. ABC has a few whisky barrels as well as some wine barrels. Barrel ageing typically lends layers of complexity and flavours to the beer. Located in South Bangalore’s JP Nagar, this microbrewery has been around since 2013. Situated on multiple levels, our favourite place to sit is the rooftop. On tap, they usually have a Hefeweizen, a Belgian Wit, a Stout, and an IPA. They are also quite well known for their IPAs, and have at times had 2-3 variants of them on tap simultaneously. Brewsky is another brewpub that has experimented a bit. They’ve made beer with agave, (yeah the same stuff Tequila is made from!) cucumbers, guavas, and also coffee! Started in 2012, in Whitefield, Windmills Craft Works (Or just Windmills for short) is fondly referred to as the Rolls-Royce of microbreweries in Bangalore. This upscale establishment encompasses a jazz theatre featuring both domestic and international artistes; a fine dining restaurant serving cuisine from across Karnataka, as well as their terrace, which serves North Indian fare alfresco. Consistently churning out top notch beers, Windmills offers a more “boutique” experience compared to your average brewpub. On tap, they usually have a Hefeweizen, a Golden Ale, A Stout, and 1-2 IPAs. Off late, they have been serving a relatively new style of beer known as a New England IPA. It can be summed up as a style that has all the flavour and aroma of an IPA, but with reduced bitterness.